Have you ever experienced this dilemma? One of your favourite authors releases a new book. You buy it. It sits on your bedside table, calling out to you. All you want to do is read it. But you know that once you do, you’ll have a long wait until the author’s next book comes along. Do you read it now or savour the anticipation for as long as possible? I tried my best to hold out when Kate Morton released The Secret Keeper. I lasted eight weeks. 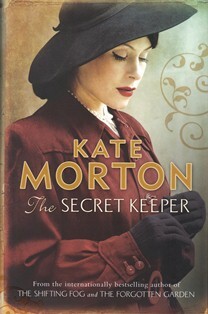 As discussed previously on this blog, I love Kate Morton’s books and The Secret Keeper is no exception. The story starts in 1960s England when sixteen year-old Laurel sees her mother commit a shocking crime. Fifty years later, Laurel attempts to unravel the events which led to that day. In typical Kate Morton fashion it’s a tale of mystery, relationships and long-held family secrets. The story travels back and forth in time between the present day and 1940s London during the Second World War and the Blitz. Kate Morton is a beautiful storyteller. The Secret Keeper is an intriguing story which kept me guessing, if not to the last page, then fairly close to the end. If you have not yet read The Secret Keeper – or any of Kate Morton’s books – and still have the opportunity to experience them for the first time, I envy you. Find The Reading Experiment on Facebook here, on Twitter here, on Pinterest here and on Google+ here. A great read. Kate Morton has a fantastic way of pulling you into the intricate weave of the story line.